Thanks for your interest in my work! Based on the Cape since 2003, I specialize in weddings, family beach portraits, landscapes, nightscapes and astrophotography. During those years, I've photographed weddings and portraits from pretty much every location and venue on this beautiful peninsula we call home. My clients have included National Geographic, NASA, Canon USA, Caltech, MIT, The CBS Evening News, The New Yorker and Bridal Guide Magazine to more local publications including Cape Cod Bride, Cape Cod Magazine, The Cape Cod Times and Cape Cod View. In 2015, 2016, 2017 & 2018, I received The Knot's 'Best of Weddings' award and from 2013 - 2018 I was honored to receive WeddingWire's Bride's Choice and Couples Choice Awards. 2018 also brought The Knot's 'Hall of Fame' award. So very thankful for all my amazing clients! My work has been selected by the Cape Cod Museum of Art for show as well as LIFE magazine's 'Alfred Eisenstaedt Awards for Magazine Photography'. 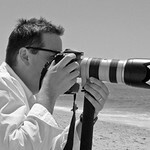 Wedding photography has been a passion of mine since opening my studio on the Cape in 2003. My fun & relaxed style is a blend of art and photojournalism that is not intrusive and will capture the 'personality' of your day. Sensitive to the needs of the local community, I have donated my time and services to the Dennis Conservation Trust, Monomoy Little League, The Cape Cod Museum of Art and the Cape Cod Young Professionals. Please contact me for more information and pricing or to setup an appointment! I look forward to hearing from you!